Core apples. Slice top of apples and discard. 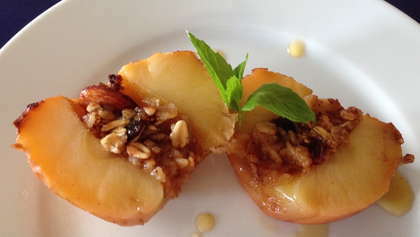 Place apples in baking pan and stuff holes with granola mix. Sprinkle cut side of apple with cinnamon powder. Bake for 30 minutes until tender. Remove from oven and cut apples in half.